Get paid faster with PayPal & Intuit QuickBooks Online. Get paid what you’re owed and manage your business finances with QuickBooks Online and PayPal. Send an invoice from your Quickbooks Online company. Your customers click the Pay Now button to pay the invoice online in 3 clicks. The funds appear in your PayPal account and the invoice is updated in Quickbooks. Customers can pay in just a few clicks, directly from your invoice. Accept invoice payments in more than 25 currencies from 200 markets worldwide. Your eligible sales can be protected against unauthorised payments with Seller Protection. Connect PayPal to Quickbooks online and create, customise and send invoices on any device^. 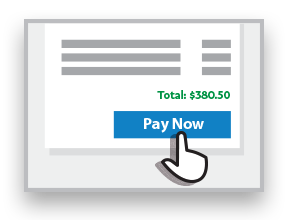 You’ll receive payments quicker, with an online payment button that’s included on your customers’ invoices. Get paid faster with PayPal and Intuit QuickBooks Online. Don’t have a PayPal account? Sign up now. 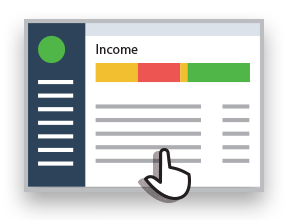 ^QuickBooks Online requires a computer with Internet Explorer 10, Firefox, Chrome, or Safari 6 and an Internet connection (a high-speed connection is recommended). The QuickBooks Online mobile app works with iPhone, iPad, and Android phones and tablets. QuickBooks Online is accessible on mobile browsers on iOS, Android, and Blackberry mobile devices. Devices sold separately; data plan required. Not all features are available on the mobile apps and mobile browser. QuickBooks Online mobile access is included with your QuickBooks Online subscription at no additional cost. Data access is subject to cellular/internet provider network availability and occasional downtime due to system and server maintenance and events beyond your control. Product registration required. *Based on QuickBooks Online and PayPal customer data for invoices paid online versus offline from 20/01/2016-20/05/2016. PayPal is an optional fee-based service. 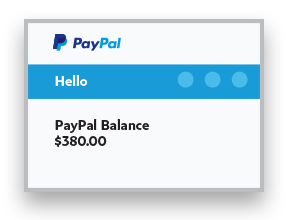 The PayPal service is provided by PayPal Australia Pty Limited (ABN 93 111 195 389) which holds Australian Financial Services Licence number 304962. Any information provided is general only and does not take into account your objectives, financial situation or needs. Please read and consider the Combined Financial Services Guide and Product Disclosure Statement at paypal.com.au before acquiring or using the service.